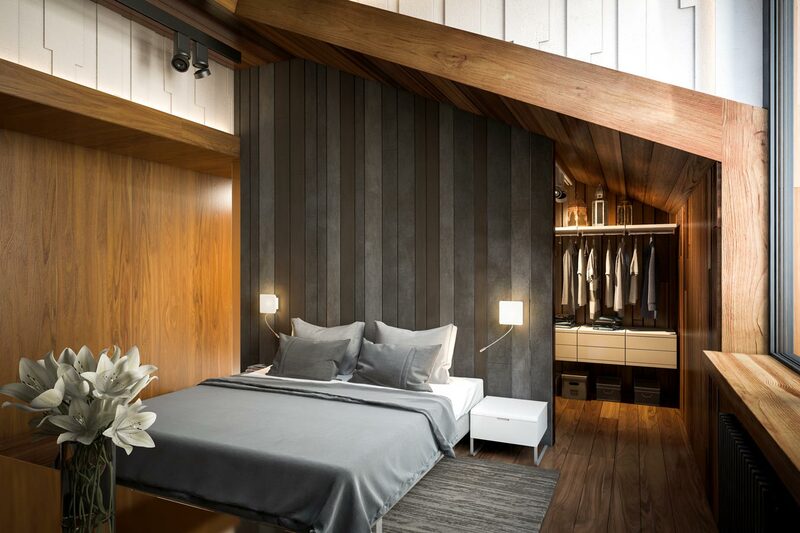 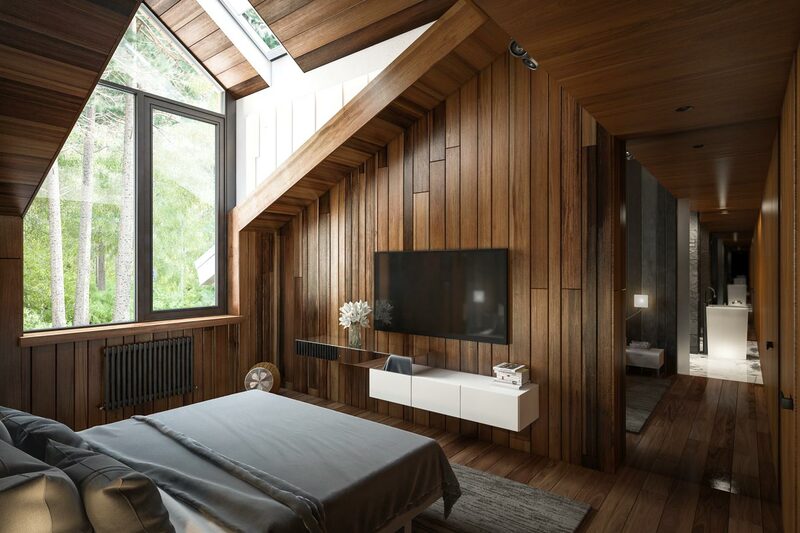 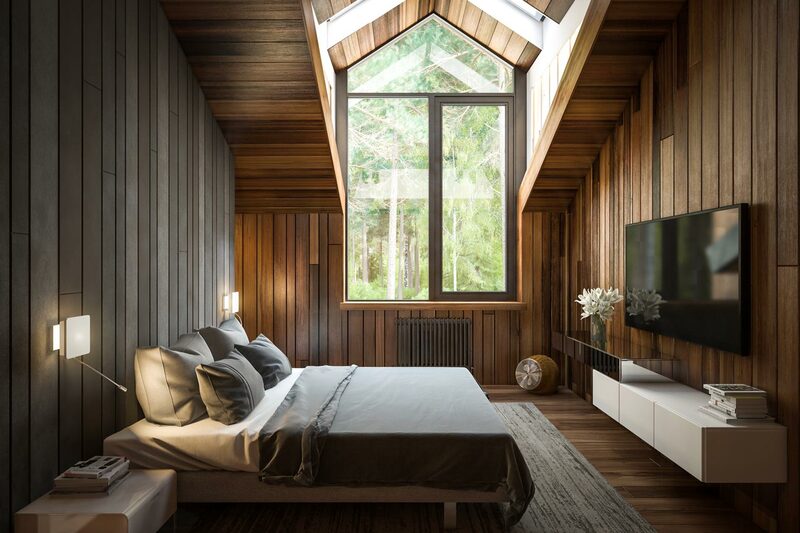 3D Visualization of the interior of a country eco-house (guest bedroom and bathroom) in a modern style with loft elements. 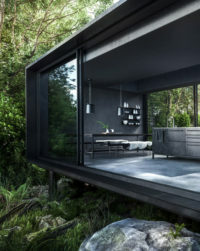 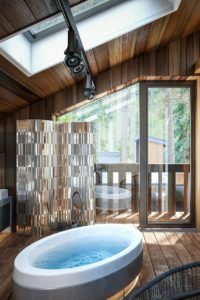 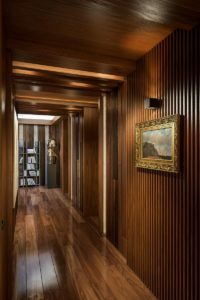 The predominance of natural materials – wood, stone, ceramics, metal. 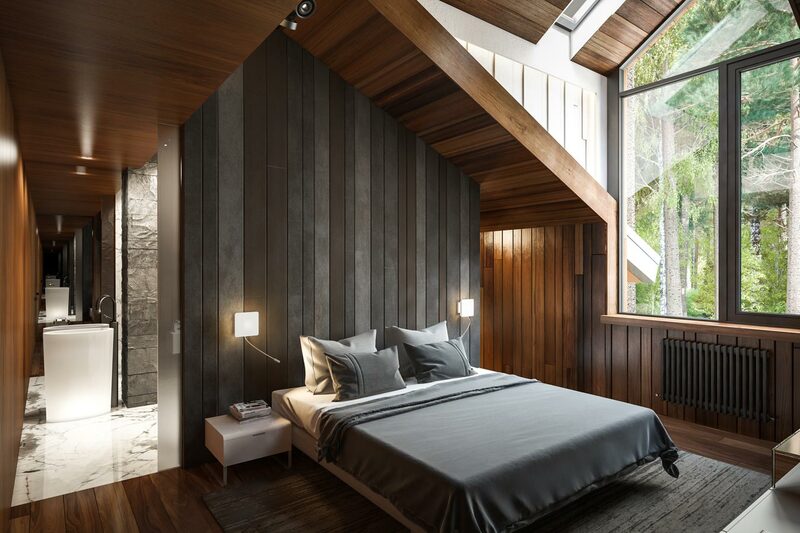 A wide variety of textures. 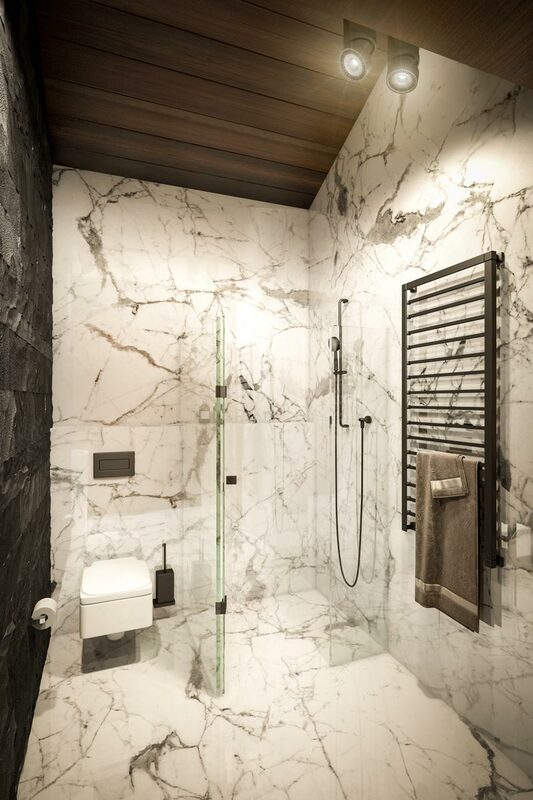 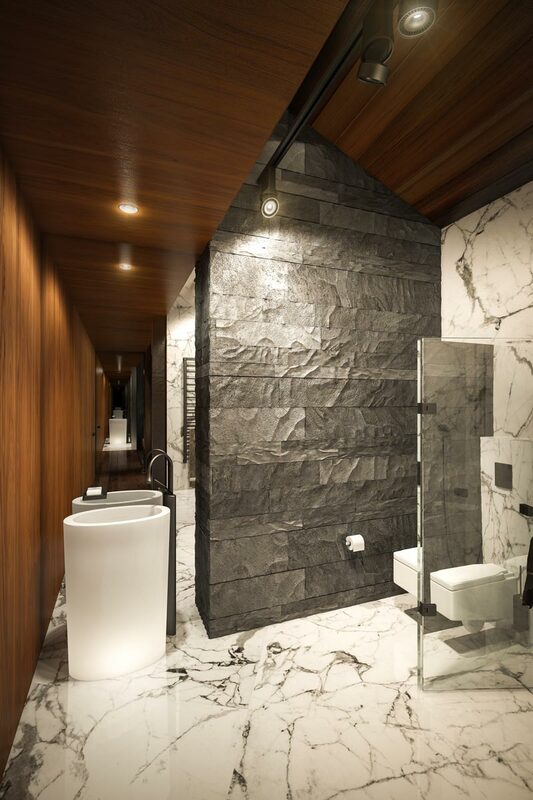 The bathroom is made of marble and slate.